With the many benefits of using self storage, you may be wondering how it can make university life easier. University is really a time where you can’t stay in one place for too long. You move back home every end of the term, switch apartments because you don’t like your roommates, and so on. Can you imagine the hassle of moving all your stuff from one place to another? Yes, it’s exhausting work. But what if we told you that a storage unit can change your experience dramatically? Well, it can. And we’re here to show you how the benefits of using self storage can also help university students like you. 1. Your items are guaranteed safe. If you have experience living with dorm or flatmates, then you already know that security is one of your biggest worries. Aside from worrying about theft, there’s also the occasional accidents that lead to your things getting lost or broken. So why not just hire a self storage company to help you out? No theft, no mysterious disappearing objects, and no accidental breaks. Everything you want to keep in storage is left there until you need it. 2. All your things are in one place. Another common problem in uni is that you keep on losing things yourself. That’s okay. Students lose stuff all the time. That’s why among the benefits of using self storage is the guarantee that nothing is misplaced. It could be your old books that you don’t want to toss out yet or musical instruments you’re still planning to learn. Whatever it is, at least you get peace of mind knowing where these items are. 3. Save money on rent when you’re away. Planning on taking a vacation for a few months between terms? Apartments cost hundreds of dollars a month to rent. And your furniture is just going to sit there gathering dust. That’s not money you’re willing to just throw away, right? So, instead of paying for costly apartment rent without you living there, why not place your things temporarily in a self storage unit? And one of the many benefits of using self storage for long periods is that you may even get a discount! Take our competitive pricing options for example. We’re not satisfied unless we’re your very best choice for affordable storage. If you can get better prices elsewhere, we’re willing to drop our prices 10% lower than theirs. How’s that for sweetening the deal? Do you play in a band? Or maybe you’re the outdoorsy type who likes canoeing and rock climbing. Well, guess what? One of the benefits of using self storage, especially mobile ones like the ones we have, is that you can keep all these hobby equipment in one place. Chances are, you won’t have the space to store these things in your apartment, anyway. Or if you do, then your roommate probably won’t appreciate that you keep these items there since you hardly ever use them. After you leave for school, your parents will more likely use your room as a guest room, office, or even a workout room. That means that when you get back, the whole space will not be entirely yours. Now if you’re bringing heaps of stuff with you from your dorm, you will not have enough space left. Now, most the stuff you’ll probably bring with you are things that you use only in school and are irrelevant on the summer. Hence, it would be wise to take advantage of storage facilities. This is one hand benefits of using self storage for university students will surely give you all the space you need. For a more comfy summer break for you and your family. Don’t you think university life is so much better with storage units? They make life easier for you, whether it’s by giving you peace of mind that your things are safe, or by making outdoor trips more memorable. At Macy’s Mobile Self-Storage, we provide you with so much more than security. We even supply all your packing materials, and throw in free blankets, too! We’ll help you move computers and sensitive equipment, and anything else you want us to. Want more helpful articles on storage units for students? 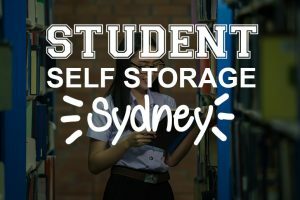 Then check out 6 Money-Saving Tips on Student Self Storage Sydney. Or look at more posts from our blog. Don’t wait until the last minute to store your stuff. Call us today at 1300 40 90 69! This entry was posted in Storage and tagged Macy's Mobile Self Storage, self storage, self storage for students, self storage units.